Elon Musk and the Tesla Model X. In 2012, everyone was eagerly awaiting the newest model of Tesla Motors’ hip new electric car. The Model X SUV was originally scheduled to come out in 2013, but was delayed significantly time and time again. Tesla is a company that wants to put out the best product they can, not simply rush something to market just because they told people about it. 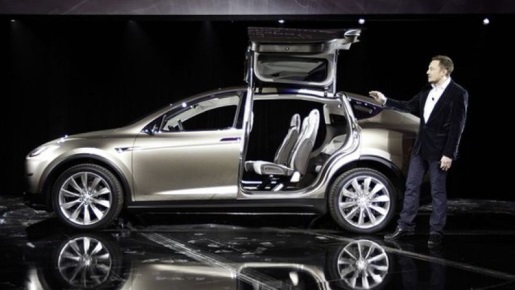 Tesla is finally launching the Model X SUV, with cars expecting to hit the market in the next 3 to 4 months. Tesla’s new car offers more than just SUV styling with electric efficiency. Indeed, along with the sliding rear seats and the gull wing rear doors, the vehicle will soon be offering, you guessed it, autopilot. That’s right, at highway speeds your car may just drive itself. Indeed, the autopilot will even allow the car to come to you on private property, once the software is perfected. Motor Trend Car of the Year Tesla Model S customers will soon be getting software upgrades that may enable the autodrive feature, though Elon Musk was careful to remind people that it’s a driver assistance feature, not complete autopilot.